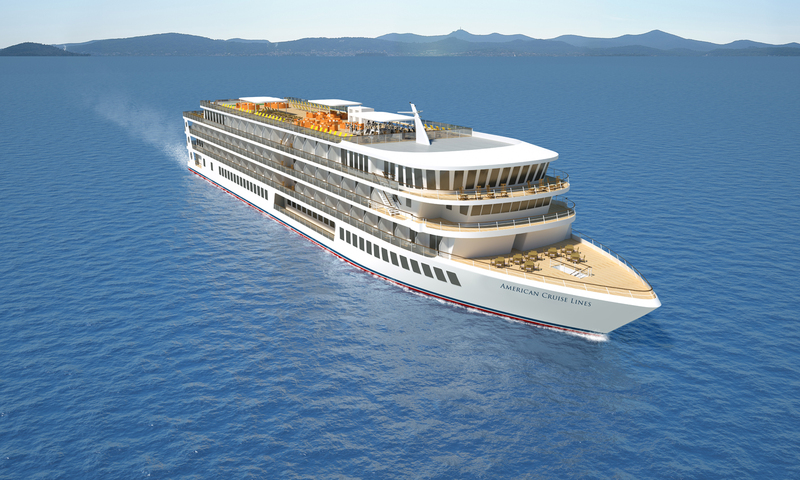 A rendering of American Cruise Line's first modern river boat. Featuring what are said to be the largest staterooms in the U.S., complete with private balconies and hotel-size bathrooms, this first modern riverboat in a series of five is expected to begin service in 2018. “It’s not the traditional Victorian paddlewheeler,” says Robertson. Contrary to the look of a traditional Mississippi riverpaddle steamboat, the new 345-ft.-long riverboat will sport a modern design, which Robertson says baby boomers have come to expect. “They’re part of the reason for the more modern boats, their expectation is a little different,” he said. But it’s not just baby boomers booking the line. 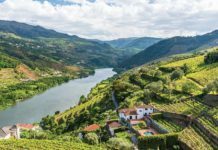 “We’re certainly seeing younger people booking, but we’re also seeing people travel who are much older, too. Certainly our average age has come down though. 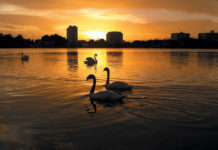 We’re also seeing not only two, but three generations of families, so one of the things that all of our newer boats have are many more connecting staterooms,” he went on to say. So far, ACL has received a good reaction from travel agents, mainly because of the larger staterooms, verandas, and more plentiful public areas. A rendering of the American Constellation. As customers’ demands and taste changes, so has ACL. While Robertson believes you won’t see the line building ships for anything more than 350 passengers, what you will continue to see are new products and offerings. 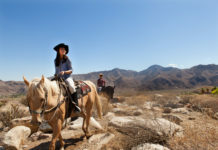 “Our shore excursions have certainly changed over the last 25-30 years,” says Robertson. “They’re more active generally. Thirty years ago you could take people to a museum and they’d walk around and they’d be happy. Now they want to go into the restoration areas, they want to be interactive with whatever it is that they are looking at. “We make available kayaking and bicycling and inflatables and all that kind of stuff, which nobody did years ago.” Keeping its product new and current is just one way ACL differentiates itself from the competition. “We’re different than most of the other domestic brands because we build all-new vessels,” Robertson says. “We haven’t refurbished any old ones, and we’ll continue with that. Cuisine is another area of focus for the line. “We have traditional American cuisine because that’s what people want, but we certainly put a regional flair on it. What we do in Alaska is much different than what we do in New Orleans,” says Robertson. “It’s all about what the client demands,” he continues. The line will most likely offer more themed cruises because of the popularity of its current themed sailings. 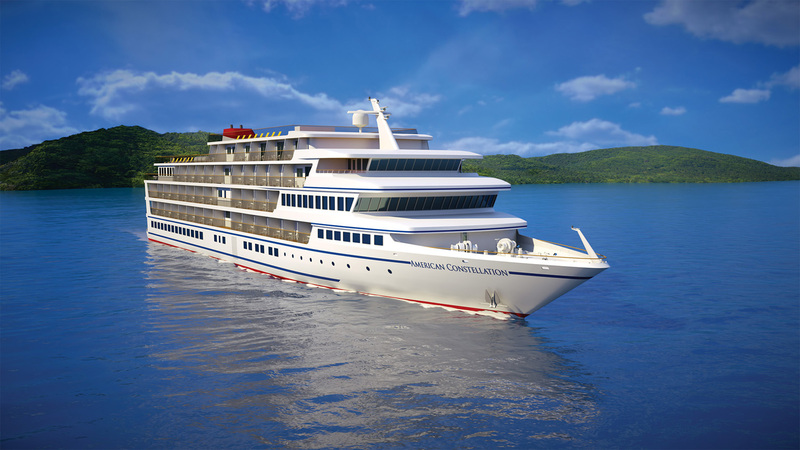 Cuba trips are also trending, with ACL’s sister company Pearl Seas Cruises already visiting the island nation for the fifth time. 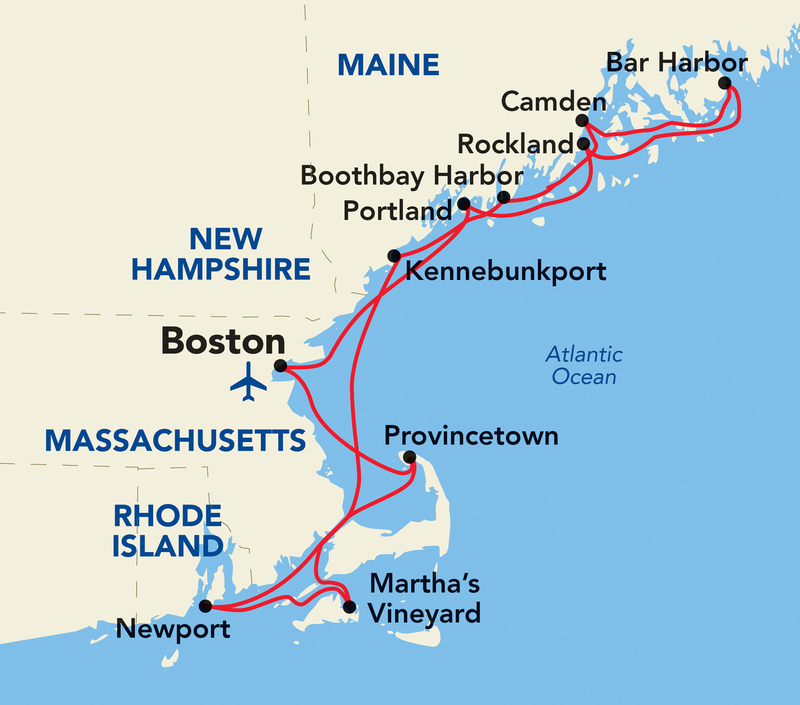 A map of the new Grand New England itinerary route out of Boston. 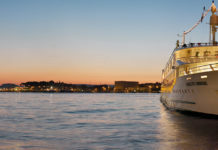 In addition to its new ships, ACL will launch an 11-day roundtrip Grand New England itinerary out of Boston this year, combining the highlights of the cruise line’s current New England Islands and Maine Coast & Harbors itineraries, as well as some new ports of call. The Grand New England itinerary will take guests to many popular destinations, including Bar Harbor, Maine; Newport, Rhode Island; Martha’s Vineyard, Massachusetts; and two new ports of call in Provincetown, Rhode Island and Kennebunkport, Maine, where they can enjoy activities such as an authentic lobsterbake luncheon on the shore of Penobscot Bay, a tour of Newport and the Breakers Mansion, Captain Jack’s Lobsterboat adventure, and a guided tour of Acadia National Park. The first Grand New England cruise will take place May 21, 2017 on the inaugural cruise of the American Constellation, and will run throughout the summer through mid-September. Rates start at $5,290 pp dbl, and include accomodations, a complimentary cocktail hour every evening, daily shore excursions, evening entertainment and meals. For more information, call (800) 460-4518 or visit americancruiselines.com.